*Requires software to unlock the time clock. The Visor Control Receiver provides the system control from your car. It integrates with and allows the car visor transmitters to operate. 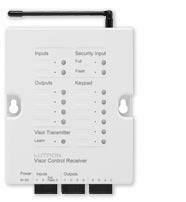 Contact Closure Outputs can control up to 4 garage doors or motorized gates. Security features turns on and flashes lights when the alarm is activated. 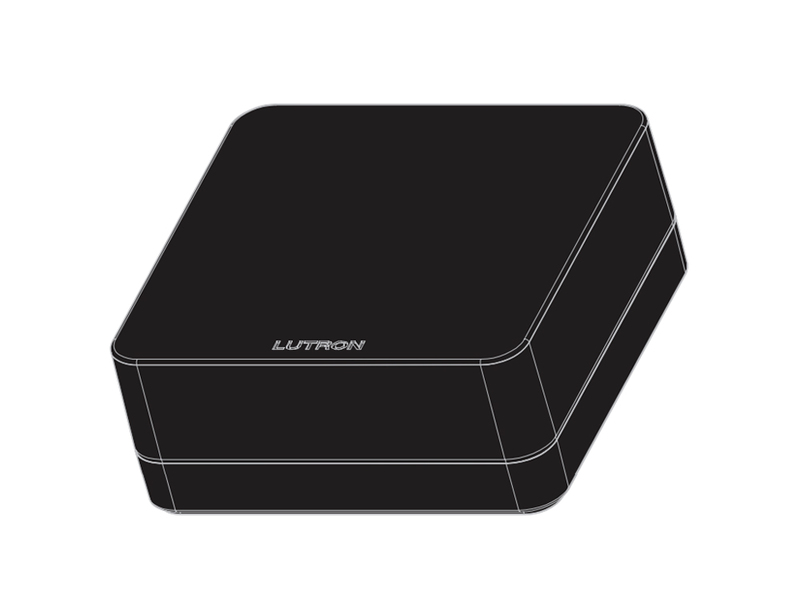 It is able to receive commands from up to 10 separate transmitters. 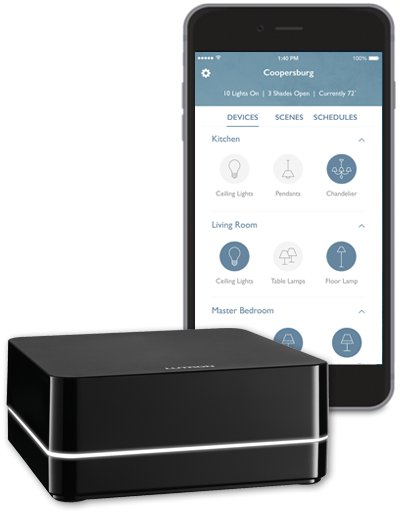 The Lutron Connect Bridge creates a link between a RadioRA 2 system and the Lutron Cloud, which will allow you to have remote access from the Lutron connect bridge to your lighting control system. There are no annual fees just buy the connect bridge and attach to your router. 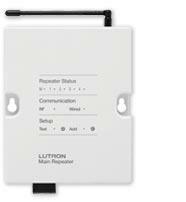 The main repeater lets you control your lights and shades from a smartphone or tablet using the free Lutron App. It also enables system integration with other leading manufacturers. It has a built in astronomic time clock for you to set up home lighting events and a system bridge for remote access, you will be able to cover a home around 2200 sq ft The main repeater will need to be plugged into an electrical outlet and connected to the home WiFi router. 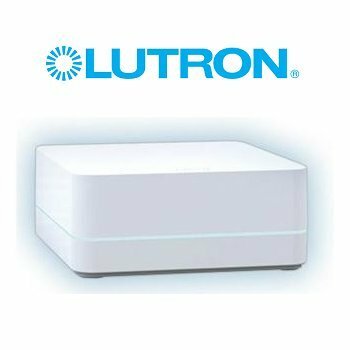 Lutron wireless auxiliary repeaters extend the range of the Radio Frequency (RF) signals that are sent between the devices. Each wireless auxiliary repeater has an RF coverage of approximately of 2200 sq ft and with a maximum of four wireless auxiliary repeaters added to extend the RF range, your system size could expand to around 8000 sq ft.